Romania has done more than any other member state to fight corruption, but the EU keeps demanding impossible measures from the country, says corruption expert Alina Mungiu-Pippidi. We talked about jailed politicians, all-mighty secret services and the EU’s inability to impose good governance on a country from the outside. Krisztian Simon: In late October 2018, European Commission President Jean-Claude Juncker called on Romania to end infighting over anti-corruption efforts if it wants to join the Schengen zone. Do you think these kinds of demands are justified towards the country? Alina Mungiu-Pippidi: European media attention on Romania, mainly driven by demonstrations in Bucharest, distorts the essentials and leads to unreasonable approaches. Stopping the infighting is certainly good advice, but once anti-corruption benefits one political party over another, it becomes difficult to implement. The forgotten fact is that Romania went far down the road of repressive anti-corruption, further than anyone else in the EU. Romania has jailed 18 (former) ministers and a prime minister so a counter-reaction from domestic politicians was to be expected. At this point we just have to control the situation and handle it pragmatically. Romania is still doing better than many other EU members. Take Greece: Prime Minister Alexis Tsipras is handpicking the head of the Supreme Court and the country is backsliding on corruption, but there is no discussion in the European Parliament about this. Double standards have never helped. In Romania, the courts are completely free. While all the potential presidential candidates running against President Klaus Iohannis have been indicted in the past two years by anti-corruption prosecutors, two out of three have already been cleared. 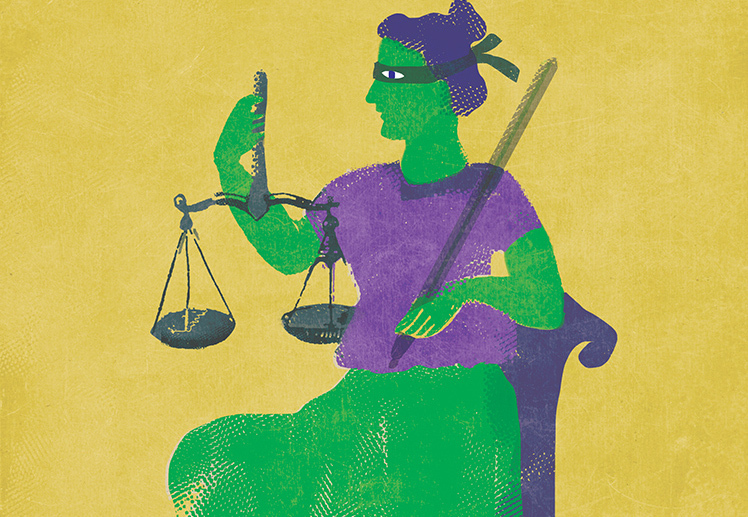 Prosecutors’ independence is more problematic than that of the courts. The worst changes to legislation attempted by the old political class were halted by the Romanian Constitutional Court itself. You can only go so far in a certain historical interval before stopping until the time is ripe to take the next step. That is how good governance is built. The discussion in the European Parliament is due, on the one hand, to European media coverage, and on the other hand, to the extraordinary activism done by the Romanian political opposition, which is using the story for political gain. If they decided to, the Bulgarian opposition could also trigger a discussion on the use of EU funds or corruption. Does increased attention from the EU have the potential to contribute to better anti-corruption measures in Romania? My short answer is no, only another majority in the Romanian Parliament can achieve that. Although the Europeans asking Romania to do more, such as the Greens, mean the best, they should understand that this is not fair and that the moment when judicial approaches to anti-corruption could have helped Romania is long past. We need to move to other strategies. It is ridiculous to discuss sanctioning Romania, who jailed the equivalent of a whole government, and not sanction Bulgaria, where there is a culture of impunity and nobody went to jail. This move only helps the Romanian opposition – if anyone – in the run-up to the national election. If the EU were to sanction all the countries for changes in domestic legislation, there would be no EU left. But there are still large protests, with tens of thousands on the streets, which the government tried to repress in August 2018 in quite an aggressive manner. What is driving the protests and the government’s reaction? The demonstration on August 10 was labelled a ‘diaspora’ rally by international media, but most ministers from the 2016 interim government attended, as did the leaders of the two main opposition parties. Not one diaspora organisation was there. Protesters mobilised under the banner of ‘f*ck SDP’ [the in-power Social Democratic Party], an obscene campaign which became trendy in the summer of 2018, from provocateurs who put it on licence plates to Romanian spectators who shouted it at the Montreal tennis court. Hundreds of angry protesters fought the military police to enter government buildings. When the military police evacuated tens of thousands of protesters – including many children – from the square, hundreds of people inhaled tear gas or were pushed around. Any student of post-Soviet politics can identify in these ingredients some clear elements of a professionally staged diversion in which innocent protesters were caught. But if the majority of Romanians were against the SDP, it would not be leading in the polls, and it would not have won the last two legislative elections comfortably. The Western media should ask itself why none of the traditional anti-corruption NGOs in the country are participating in these rallies. You can only go so far in a certain historical interval before stopping until the time is ripe to take the next step. In the Journal of Democracy, you write that the people of Romania perceive the country to be even more corrupt now than they did before anti-corruption measures. Why is this the case? In Italy, according to the pollster Demos, only 11 per cent of the people asked say that there is less corruption now than before the Mani Pulite investigations [a large corruption scandal in the early 1990s]. Repressive anti-corruption action alone does not clean countries; it makes people more aware of corruption and distrustful towards politics. Also, in Romania people see jailed politicians manage to shorten their sentences with the complicity of judges and public universities. 20 public universities have helped these people, who were not academics before jail, claim that they have done academic work in jail, even though Romanian prisons do not have internet, nor libraries. People see this obvious manipulation and become distrustful. The problems are at the lower levels too. A few months ago, the Faculty of Law at the University of Bucharest cancelled all written exams, because they could not control plagiarism. The people cheating in exams are Romania’s future judges and prosecutors. In corrupt societies, like in Romania, Greece and Italy, it is not just politicians who are corrupt and so jailing them is not going to solve everything. What’s needed is an approach that prevents corruption in the future. Public procurement is one area where Romania has made a lot of progress. That progress was not due to anti-corruption measures but rather to transparency reforms. If we don’t deal with this side of corruption, the people who replace those in jail are going to behave exactly as their predecessors. Why is corruption such an intractable social problem? Let me explain how it works. And it also explains why Greece and Italy – who have been in the EU much longer than Romania – are not doing better than a few decades ago, at least if you check the Transparency International corruption index. When an economy is structured on the basis of rents, political authority has a large hand in allocating market winners, which can be a very lucrative system for those involved. Romania has tried to eliminate some rents but it didn’t bring the expected benefits. For instance, the provision of utilities has been largely privatised and water and electricity were given to large Western companies. However, these companies turned out to be just as corrupt as their local predecessors. The French Apa Nova (Veolia) allegedly bribed the entire municipal council of Bucharest to increase the price of water three times in one year – the case is under investigation. It is a political story: in a system used to rents, even outsiders will soon start behaving in a corrupt manner, no matter who they are. It is a tough situation, but we are at least waging this battle. And this battle has to be waged by a majority in parliament. The current anti-corruption camp has lost the last two elections, and lost decisively. Whereas, the governing parties and their allies now have two thirds of the seats in Parliament. The people elected them because they found more faults on the other side. Whatever anti-corruption strategy we take, that has to been the starting point. But isn’t there a chance that the government reverses progress made against corruption over in recent years? Those who govern now also governed in recent years, and every sustainable reform was done in cooperation with them, not against them. The other camp, which demonstrates in the streets, has also governed corruptly. Some of them are now pursued for extradition by Interpol in Costa Rica. Except for some civil society groups, the political class has behaved in a similarly flawed manner, and replacing them all will still take a while. Nothing is irreversible in a democracy, and in the end, it is the choice of the majority of voters that matters. The forgotten fact is that Romania went far down the road of repressive anti-corruption, further than anyone else in the EU. Elections are completely free in Romania and voters are aware of the problems, but they have not had a bright meritocratic pro-integrity party to choose from so far. The Romanian Constitutional Court should be left to do its job; it has frequently acted against the government, like when it halted proposals to amend the criminal code. What can the EU or the European Greens do for Romania? Honestly, the best thing the EU can do is not micromanage, in Romania as elsewhere in Europe. The EU doesn’t know what is best on the ground. When the EU assumed direct control over anti-corruption in Kosovo, for example, it was a disaster. We shouldn’t tell countries what to do, but what to reach, such as competitive public procurement and reasonable prices for public works. Romania is not so far from the European average for uncompetitive public tenders, and the trend is quite positive. Poland, Greece, and Italy do not have such positive trends. The EU can tell a country with 22 per cent non-competitive tenders to go down to 10 per cent or be clear that EU funds cannot reimburse a highway that was more expensive to build than it would have been in Germany. But don’t tell them how to do it. Because the good strategy differs from country to country, and people should have their own responsibility to make it work. Controlling corruption is like building up an immune system – in the end, you do not know what the right medication is, and you will not be able to always tell your patient what to take. What Brussels can do is what Jean-Claude Juncker already suggested: ask them to stop infighting and call for a roundtable across parties to discuss the main measures needed to move away from political witch-hunts to more effective forms of corruption prevention. You mentioned earlier that the courts are independent, while the prosecutors are not. Why is it easier to influence and ‘capture’ prosecutors? For constitutional reasons. As in most countries with the Napoleon code, prosecutors function under the authority of the justice minister. In Romania less so than in Germany actually. Most prosecutors in the Anti-Corruption Directorate (DNA) were seconded from other offices and so it was easy to order them around. For example, the current Minister of Justice ruled this October that they all should go back to the departments they came from. Judges, on the other hand, are all tenured in a court, with high salaries and special pensions. If a judge wants to be corrupt, you cannot control it. But if a judge wants to be impartial in Romania, it is easy. In practice this means that the judiciary is almost absolutely impartial. I have been dragged to court many times by politicians I denounced as corrupt, more than ten years ago, and I always won. I never lost a case. The only trial that is still open, and of which I am afraid of, is my trial against the secret services. I know that judges still feel vulnerable when it comes to the secret service, because they have all been wiretapped in the last five years. The Bucharest Appeals Court, where the case is judged, approved 1812 warrants out of 1812 issued by the secret services in the last five years… and this is scary. What if those in power rewrite laws in a way that judges won’t enjoy the same independence as they used to? The main ingredients of the Romanian judiciary’s independence are in the Constitution, not in the ordinary laws. It makes clear that the judiciary is ruled by the self-elected Judicial Council, and it is practically impossible in Romania to change the Constitution (a referendum on the ban of gay marriage just fell due to low turnout). And as we have seen in the last two years, the Constitutional Court defended the Constitution pretty well and kept the laws intact. Is the strength of the secret services a legacy of the Communist times or the outcome of the politics of the last 3 decades? I think both. Their activities were fairly opaque throughout the years, but when I was running the Romanian public television in 1997, we managed to secretly film the two luxurious villas of the director of the secret services, which led to him being fired. After that, I thought we had won the fight against them forever, but on the pretence of the anti-corruption agenda they were repowered. Despite Romania’s population being a quarter of Germany’s, the budget for its secret service is larger. In 2015 alone, the internal secret service SRI tapped 40 000 people, 16 times more than the FBI did in the same year. If the EU were to sanction all the countries for changes in domestic legislation, there would be no EU left. It was left to the discretion of the secret services to decide what bits of information they pass on to the DNA, and according to a recently declassified document, the SRI was not even required to disclose that the information they handed to the DNA was selective. Are there connections between politics and the secret services? The committee in parliament that is supposed to do the oversight of the secret services is generally populated by secret service agents or vulnerable people. When I petitioned the secret services to declassify the issues related to intra-hospital infections and corrupt tenders for antiseptics that they claimed to possess (as public health matters cannot be classified by law), the parliament committee, chaired by an SDP politician, Adrian Tutuianu, rushed to ask for my ‘understanding’ that such questions cannot be answered – acting as if they were the lawyers or spokespeople of the secret services. Now, the SDP has turned against the secret services, since they are subordinated to the President, their political rival, and therefore the committee has recently started to increase its oversight. But that might be just an opportunistic, temporary change. The general rule is that the secret services are vetting all the ministers and staff, they are appointing their own people to key positions, and they try to protect their own interests as much as they can. They even bully ministers so that their companies are given money – including EU funds. They basically run a big-brother-state, and are reimbursed for that by Brussels. When it comes to the main problems for the people on the ground, corruption is probably just one issue, and maybe not even the most important. So what else is there? According to the Eurobarometer surveys, Romanians say that corruption is affecting their lives directly. And by this, they mean first and foremost its effects on the public health system: since the system was not sufficiently reformed, you still have to provide informal payments in the system, and not just to doctors, if you want to receive good treatment. But SDP has finally increased doctors’ salaries. Otherwise, most of the bribes that existed in the rest of the administration 20 years ago are by now largely gone. In Romania you don’t pay policemen anymore on the streets, and in education the corruption is more about academic frauds, and less about bribes. So there has been an evolution, but people are still part of a system which is not merit-based, and impostors have populated the public sector in the long years of corruption and this upsets the people. Of course, there are many people who regularly protest, but countries like Greece and Romania are not changed by people who rally in the streets. They have to be changed from within – in each sector and profession you have to build standards. Romania is far better in this regard than many countries, as there is a lot of civil society action which is not just based on self-interest, but also aims at promoting integrity and good governance. But still, this activity is not sufficient because it is first and foremost concentrated in the downtown of Bucharest and centred on the judiciary, instead of being integrated in every area and field. In the latest ranking, Italy is at place 54 with a score of 50/100, and Greece is at place 59 with a score of 48/100. Romania shares this position with Greece. In economics, rent refers to the amount payed to a company in excess of the cost of producing it. Donald Trump's trade wars have triggered a long-overdue discussion on the downsides of international trade. What is the green response?